To coincide with the International Bluegrass Music Association’s World of Bluegrass event September 24-28, 2013, in Raleigh, North Carolina, The University of Illinois Press are offering eBook versions of three University of Illinois Press titles on sale for $2.99 each. The sale will run through September 30. On September 26, the University of Illinois Press will publish the late Marty Godbey's book "Crowe on the Banjo: The Music Life of J.D. Crowe." The book charts the life and career of this celebrated banjoist and Bluegrass innovator from Lexington, KY. The book ordering information is now on the University of Illinois Press catalog web page. The volume is 272 pages including 25 black & white photographs. The book is "A musical biography of one of bluegrass's true pioneers." 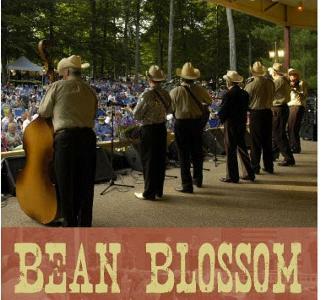 This is just another addition to the University's Music in American Life series which has included works on the National Barn Dance, Bluegrass legend Hazel Dickens, Bluegrass Odyssey, Bill Monroe, WSM and others who were either a part of bluegrass, influenced by bluegrass or the roots of the genre.